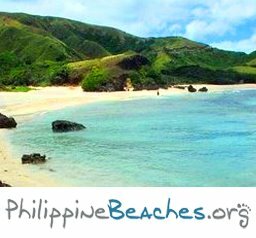 The Philippines is blessed with spectacular natural tourist destinations, especially pristine beaches. With the rise of low-cost airlines and budget travel packages, tourism has been seeing massive growth in the country and more and more of our natural resources are explored and exposed to the world. It is not enough, however, to travel. 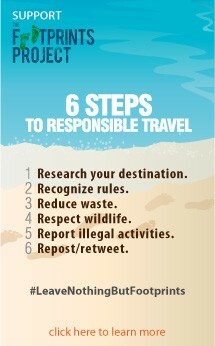 We need to travel aware of our responsibilities to the environment. This is where The Footprints Project comes in. 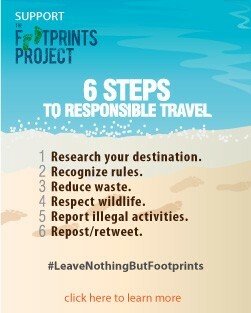 While PhilippineBeaches.org encourages people to travel and explore the many beautiful beach destinations in the country, the Footprints Project aims to make every Filipino a responsible traveler and an active steward of nature! 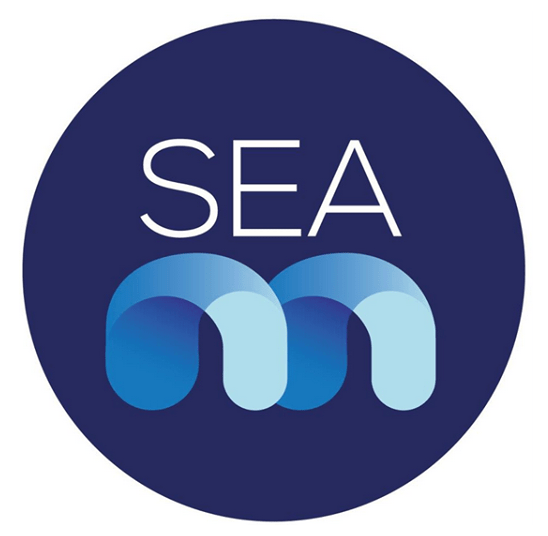 The goal is to raise awareness on ways to minimize impact on the environment and provide practical, specific and actionable guidelines to help travelers become more informed, more involved, and more in touch with the natural world. 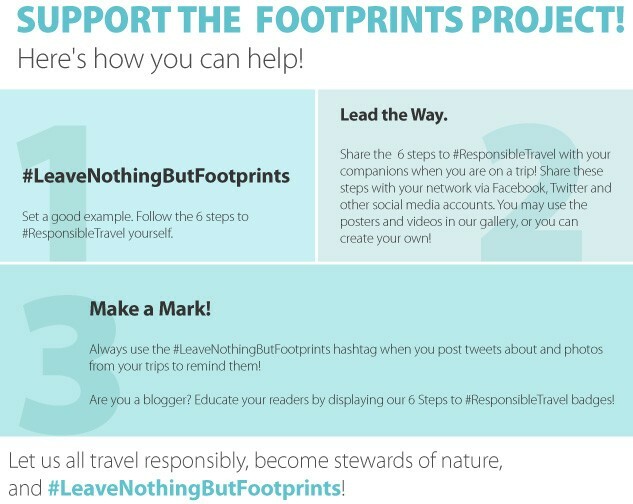 Hand in hand with non-profit organizations Save Philippine Seas and Earth Island Philippines, the Footprints Project envisions the Philippines with a healthy, sustainable and successful tourism enjoyed, promoted, and guarded by a people who are environmentally conscious, friendly, and responsible. Read more about the steps here. If you have a blog! 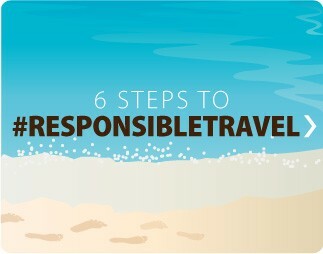 Please post this on your sidebar to help remind your readers about #ResponsibleTravel!